Former Manchester United and Tottenham Hotspurstriker DimitarBerbatov has snubbed a possible return to the Premier League to feature for Watford, according to reports. The 36-year old is already thinking of his post retirement plans as he ignored a move to Watford for Kerala Blasters. The Premier League legend would be heading to India later in the year to join former United coach Rene Meulensteen. The seven-time Bulgarian Player of the Year award winner is set to become the third highest earning player in the history of the ISL when he resumes with Kerala. Watford wanted him in a player-coach capacity but Berbatov ignored them, preferring a new experience in India. He would work with Meulensteen in coaching capacity, as a mentor to the Indian players and as one of the biggest players in the 2017/18 ISL. Berbatov would link up with two former Manchester United players in Wes Brown and Paul Rachubka. They would help the club in their title chase this term. Seven out of eight foreigners have joined but they should be enough as the two-time ISL runners-up seek to land their first title. Berbatov is known for his exceptional ball control and goalscoring ability. He agreed to a one year deal with the Blasters but he is expected to stay longer in coaching and mentoring capacity, alongside Meulensteen. Before the Watford link, there were reports he would join Sunderland. However, the move never materialized. DimitarBerbatov believes that Manchester United has made a great deal by signing Lukaku from Everton. He believes that the striker has the necessary qualities to replace Wayne Rooney in the team. However, he admitted that the departure of Rooney from Manchester United would be a big disadvantage for the team as he was a major influence in the dressing room. He said that the manager would have to find another leader to help the team. DimitarBerbatov believes that the signing of Lukaku is a great acquisition for the team and that he is a player that will suit the playing style of Manchester United. He said that the player is a mobile one and that he will be taking part in the team play as well instead of just waiting for the ball to come to his feet in the box. The former Manchester United striker believes that this will be an exciting season for Manchester United and he believes that the manager will still add more players to the team. He said that the Red Devils would need a big squad if they want to challenge for both the Premier League title as well as the Champions League. He believes that Jose Mourinho already has a list of players that can help strengthen the team and that they are already working on getting some new signings. He said that it is a bad decision from the Manchester United staff to let Ibrahimovic go. He believes that he will have been helpful in the dressing room especially now with the departure of Wayne Rooney. He said that ever since he joined the club he has been a wonderful signing for the club and he cannot understands why they allow him to leave the club at the end of his contract. Dimitar Berbatov discloses that he had a conversation with the Black Cats over the possibility of him joining them in the on-going season, but, the conversation didn’t get to a fruitful conclusion. It’s been about 9 months now that Berbatov is without any club. The previous time he had featured in a top flight fixture was when he was at PAOK which did not give him an extension to his contract post his debut season there. Since then, there has been a drought of offers. However, that is not pushing Berbatov towards retirement yet. His desire to play is intact and he is just waiting for someone to hand him a contract. As per Berbatov, somebody like him who has had such a huge career in soccer and given the fact that his physical fitness remains quite good despite being on the wrong side of thirties, he just doesn’t feel like putting his playing career to an end at all. Berbatov is not sure how many more seasons he can continue for. He says he is going to take it season by season, week by week, but, right now, it’s just about having an opportunity and while it would have been nice to have that opportunity with Sunderland, he understands that I Love Man Utd there are times when things don’t tend to fall in place and one has to keep patience. It Sunderland had gone for Berbatov, his innovation upfront might have proved to be quite beneficial for them especially at a time when they are in dire straits and are in desperate need of some positive impetus. But it didn’t happen and Berbatov’s spell on the side-lines extended even further much to the disappointment of his enormous fan-base which is spread all around the world. A Spurs fan has reportedly told the BBC that he wants his team to sign DimitarBerbatov to cope with the absence of Harry Kane. Indeed the England international has been ruled out until the end of the season and Spurs are currently left with only Janssen as a recognized striker. This is a shame for Tottenham Hotspurs as Harry Kane has been in great form in recent games and they would have been counting on his goals to help them clinch a top four finish that would allow them to qualify for the Champions League. At the moment Mauricio Pochettino would be relying on Vincent Janssen to score the all important goals. There is not a lot that Tottenham Hotspurs can do at the moment, and one fan has suggested that they sign their former player DimitarBerbatov. Former Tottenham Hotspurs and Manchester United striker DimitarBerbatov is currently a free agent after leaving Greek club PAOK and could be an attractive option for Spurs. However, the player is currently 36 years old and may lack match fitness to play at this level. But this would be a great opportunity for the former Bulgarian international to make up for the manner he left Spurs for Manchester United. Dimitar Berbatov has stated in the past that he wants to play again and that he will not retire soon. This can be a great opportunity for him to prove that he can still play at the highest level and help his former team clinch a qualification for the Champions League. Mauricio Pochettino believes that he had enough players in his squad to cope with the absence of Harry Kane and said that he wants his team to remain focus on the objective of finishing as close to the leaders as possible. Former Tottenham and Monaco striker Dimitar Berbatov is set to start training with former employers Manchester United as he considers a return to the league that brought him to the spotlight. Berbatov who is currently out of contract after leaving POAK in the summer, is heavily linked with a return to Premier League club Swansea after manager Bob Bradly revealed the former United goal poacher is on his radar. Also, reports in Bulgarian media suggest that the 35-year-old striker is keen on returning to the English top flight despite his age. Berbatov is set to visit the Manchester United training ground in Carrington next week in other to train with Jose Mourinho’s men as he prepares for a possible spell with another English club. It would be recalled that the former Bulgarian international joined Manchester United from Tottenham in the summer of 2008; following the move, Berbatov went on to score an impressive 48 goals in 108 premier league appearance for the red devils. Berbatov who had since left Old Trafford has gone on to play for Fulham, Monaco, and Greek outfit POAK, reproducing the form that saw Manchester United pay a huge sum of £30.5 million for his services in 2008. One thing is certain, If Berbatov is to sign for any premier league club in the coming transfer window, he would no doubt bring with him the much need experience and knowledge any team would appreciate. For now, Berbatov will concentrate on training and try to keep fit while he prepares for a possible interest from any premier league club. Dimitar Berbatov has come out to throw his full weight behind ace striker, Vincent Janssen. This comes on the heels of the former AZ Alkmaar player’ inability to find his form and start scoring for the club. Janssen was recently signed by Tottenham during the transfer window in summer. However the past few weeks have seen Spurs go low on goals with the absence of their star striker, Harry Kane. Berbatov, believes Janssen would soon adapt to playing at Spurs and begin to score soon enough. The Bulgarian International, who had once also been in striking position for the Spurs has said it also took him time to adapt to English football. However, when he finally did, he rose to become a star for the Spurs and also go on to score a lot of goals for them. “You have come to a new environment and a different style of playing. I think he will take a bit of time to get used to his new team-mates, with the football, with everything. But I think he will be fine. At his former club AZ Alkmaar where he was before being signed on by Tottenham, Janssen had scored plenty of goals and on international level, he always is a starter for his country. However, he seems to be finding it a bit tough to settle in and get back his best form for the club. Tottenham doesn’t seem to be able to have enough patience to wait for the player to find his form as it could cost them a lot in the process. It is understood that DimitarBerbatov turned down a potential move to Al Ahly after the club failed to retain the services of manager Martin Jol. The Dutchman enjoys a special relationship with the Bulgarian striker after having been in charge of the player at two of his previous clubs. Jol was the manager who bought Berbatov to English football when he was at Tottenham. This turned out to be one of the best spells in his career for the Bulgarian striker, who was previously plying his trade in German football. 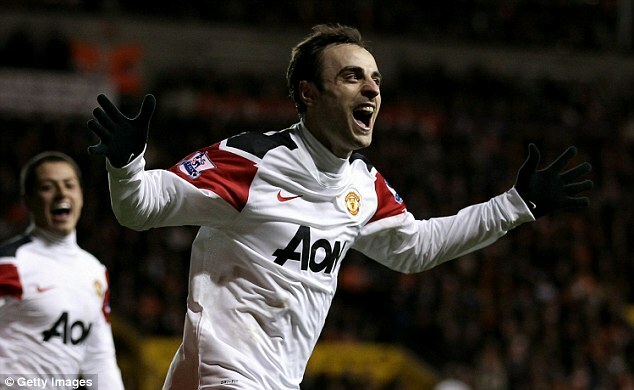 Immediately after the departure of Jol, Berbatov’s performances began to drop rapidly and the player showed his intense desire to join Manchester United. The Red Devils were ready to pay a whopping fee of £30 million for the forward and it was a club record at the time. Berbatov was not a huge success at Old Trafford, although he did win the league title. He joined once again with Jol but this time at another London outfit, Fulham. Even though this relationship again did not last for a long time, Jol managed to get the best out of the player. It was thought that Al Ahly were keen on bringing this partnership back to life, although Berbatov has aged considerably in the last decade. Now 35, the striker was available on a free transfer. It is reported that the club made a € 400,000 offer to the striker even before all the bonuses, but it was turned down by the former Manchester United star after seeing Jol depart the club just before transfer discussions could progress on a more serious note. The Egyptian club had signed the manager with an expectation to go to the next level, but fears over personal safety forced Jol into exit the club much earlier than planned. Crystal Palace is looking for a striker to reinforce their attack. Indeed the club has lost three strikers during the transfer window and is looking for a quality striker. There was news that Crystal Palace was seeking to sign Benteke from Liverpool during the summer, but they have been discouraged by the asking price. The Crystal Palace board is reported to be looking for cheaper alternatives. One player that they might consider is DimitarBerbatov. The former Tottenham Hotspurs and Manchester United striker is available on a free transfer and will not cost anything. The player has left Greek club PAOK on mutual consent and is currently looking for a club. Although it might be on a short-term contract given that the player is 35-years old, Crystal Palace will be getting a highly experienced player. Indeed the player has played in Europe’s biggest competition during his time at Manchester United and Spurs and will definitely be an asset to Crystal Palace. DimitarBerbatov also has good knowledge of the Premier League and will not require any adaptation period. Some pundits argue that Berbatov is a player that is past his prime. Although this is true, we must not forget that Berbatov has never been a pacy player. He was never the sort of player that run past players. He has not lost anything to his game. He has always relied on his intelligence and his placement to receive the ball and create assists for others. So, at this age, he is still capable of influencing games and creating goals. 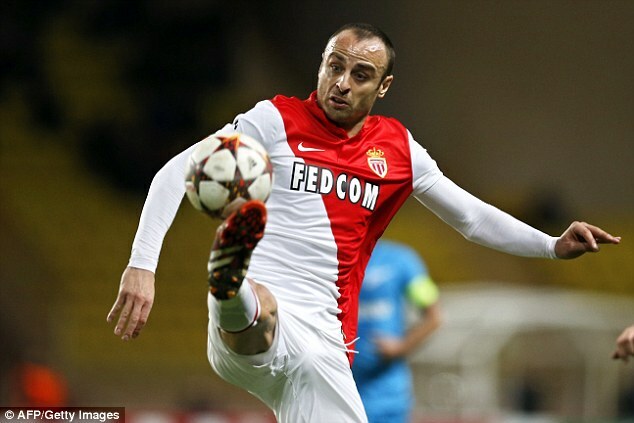 Berbatov will be a great player as a secondary striker or in a more advanced midfield role. Crystal Palace is still considering other options, but they will have to act quickly if they want to sign Berbatov. A player of his quality will not remain free for an extended period. Former Red Devils striker Dimitar Berbatov has been linked to a move to two English Championship outfits Newcastle United and Nottingham Forest, according to reports. The English Championship looks like one cracker with former English Premier League teams in Aston Villa and Newcastle joining but keen on returning to top flight football as quick as possible. There are lot of links that the Bulgarian striker is in talks with two Championship clubs and one is believed to be the Magpies. Head Coach of Newcastle, Rafa Benitez has made a lot of changes as the club adjusts to the new status of the club in the Championship but with the intent to return back soonest, the deal is one that looks likely. Berbatov is a free agent since leaving his former club, Greek side POAK earlier this summer. The player’s deal was not renewed as he only scored four goals in 17 games for the Super League side in the last campaign, a record that the club found underwhelming, considering his reputation. Reports claim the 35-year old player admires the Magpies as he watched them grow. He is believed to see Alan Shearer as an idol and might likely favour a move to the North East. With Benitez very keen on landing a striker at St. James Park, he could very much consider the player who has fallen from grace. Benitez will also be playing Dwight Gayle but Berbatov is a more favourable option. Berbatov scored 48 goals in over 100 appearances for Manchester United, after completing his £30 million move from Tottenham Hotspurs. He was a very brilliant player with Spurs, helping with a lot of assists aside his 27 goals in two seasons. The move to Forest seems unlikely, especially as the club signed Apostolos Vellios for £1 million, and other striker exist at the club already. There are reports that DimitarBerbatov might be considering a move to the Major League Soccer in the summer. The former Tottenham Hotspurs and Manchester United striker might be considering ending his career in the MLS. News from Greece indicates that the former Bulgarian international might not renew his contract after its expiration in the summer and will seek a move to a MLS club. So far there is little information about the identity of the club and it is expected that the deal will be carried out in the summer. Berbatov, who have joined PAOK in September, has only managed to make 14 appearances for the club with most of them coming as a substitute. He has scored 4 goals in the process. DimitarBerbatov has come under intense pressure from the media as well as fans. He is accused of not giving his best for PAOK and to display a lack of commitment on the pitch. However, Berbatov has stated that this is not the case and that he still considers PAOK as his club. He said that it was his commitment that has brought him red cards in game and that he is fully determined to play for PAOK until the end of his contract. However with his recent injury concerns, it is quite unlikely that a MLS club might be interested in signing him. But we should not forget that it was only last year that Berbatov was representing Monaco in the Champions League, and he may still bring some contribution on the pitch. He is also quite experienced after having played some 102 matches for Spurs and 149 games for Manchester United. He will definitely bring his Premier League and Champions League experience to the MLS club that is willing to sign him.